It is amazing how many different skills the crew of the Lois uses every day. As a volunteer, I was lucky enough to get to try my hand at many tasks that were totally new to me. One of the main purposes of the canal journey is to make life on a canal boat “come alive” for the people who come aboard. Thus, all of the crew needs to be extremely knowledgeable about the details of daily life for the canallers. The questions range from “What are the rocks in the hold for?” (cargo that was shipped in the 1860s, doubling as ballast for us) to “What kind of engine is in the tug?” (a 120hp Ford-Lehman diesel) and “Why doesn’t the centerboard float up if it’s made of wood?” (because it has lead weights cast into the bottom of it). The crew also has to be able to sail the Lois and to put up and take down the entire sail rig – a major undertaking involving a crane and a solid day’s worth of work. There are a lot of pieces in a sail rig! 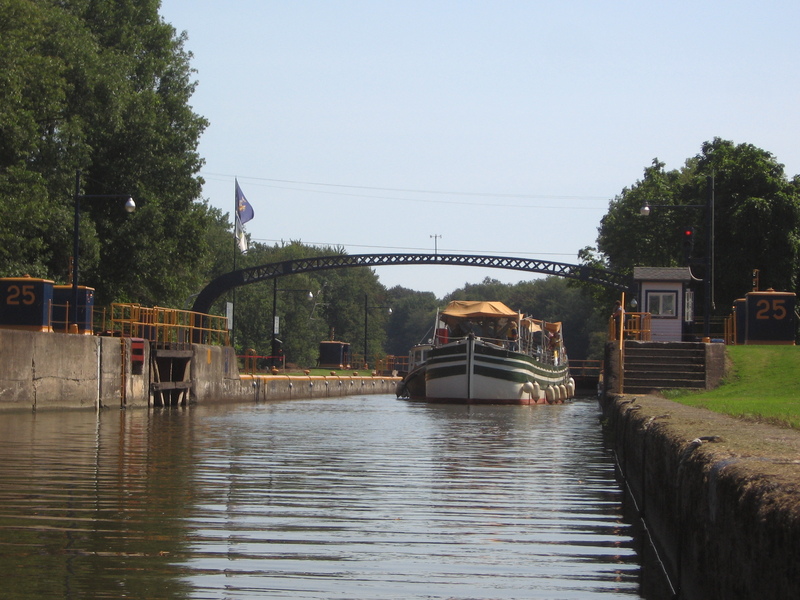 Then there is the process of getting the boats through a lock. The tug C.L. Churchill powers Lois from a position on her side (called “towing on the hip”), slowly easing her speed as either Roger or Erick (depending on who is on the helm for that watch) gently steers her close to the lock wall. I was lucky enough to crew on the tug (something I have wanted to do since I was a kid) and so was able to see a different part of the operation up close. There are lots of details to keep track of on the tugboat – it is not just following the instructions relayed over the radio. The tug boat operator has to watch the depth, voltage on the systems, drip rate on the stuffing box (where the driveshaft goes through the hull to the prop) and a myriad of other details. One of my major duties was handling the lines and fenders, which I’m (gradually) getting better at. Not all of what happens involves moving boats. Day-to-day routines involve a phenomenal amount of planning by Art, Erick and Roger. 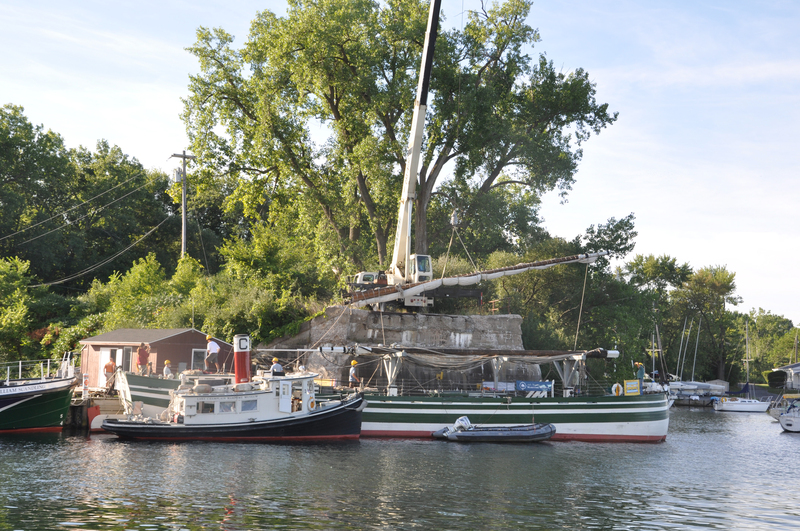 It takes a lot of effort from a variety of people to make sure the Lois has a safe berth so the people of the communities she visits can come aboard. We have been treated extremely well by the townspeople along the way, fed and feted all along the canal. There are many other behind-the-scenes jobs on the Lois. One of the essential ones is keeping the crew fed, and Kathleen Carney does a fabulous job under a bewildering variety of circumstances. Since there is no refrigerator, the icebox must be kept full (which means fetching ice daily). The ship’s store has to be restocked so books and t-shirts are available for interested visitors to purchase, and Kerry Batdorf, the ship’s carpenter, has his hands full with (hopefully minor) repairs and innovations. 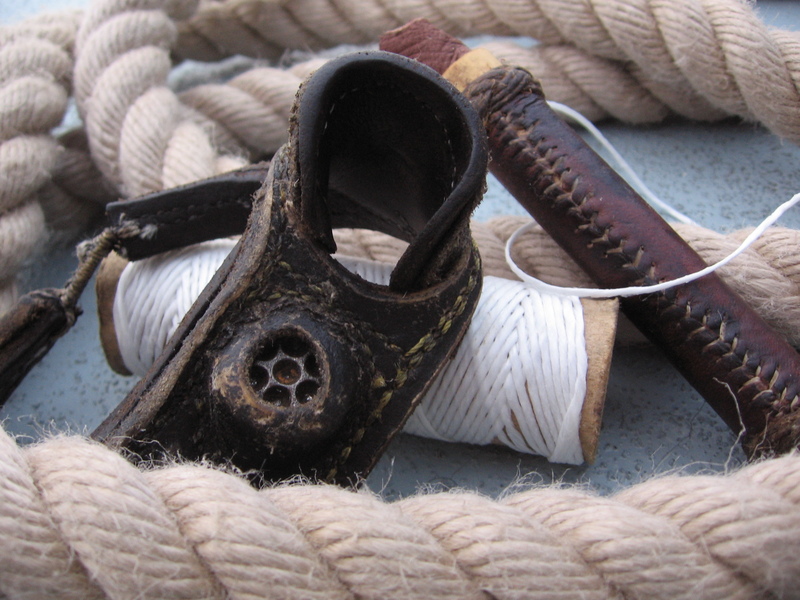 All of the crew on board are busy, so I felt particularly fortunate when Len Ruth, the bosun, took the time to teach me how to whip the end of a line (the process of wrapping small thread around the end of a larger line so that it doesn’t unravel and fray – you can learn more about it in this book). His tools are handmade and period correct, which added a lot to the lesson. Thanks Len! Volunteering on the Lois has been an unforgettable experience. The sense of timelessness, the warm and welcoming townspeople and the phenomenal full-time crew have made this an awesome trip. A graduate of Weslyan University, Sal has been a member of the museum for many years. 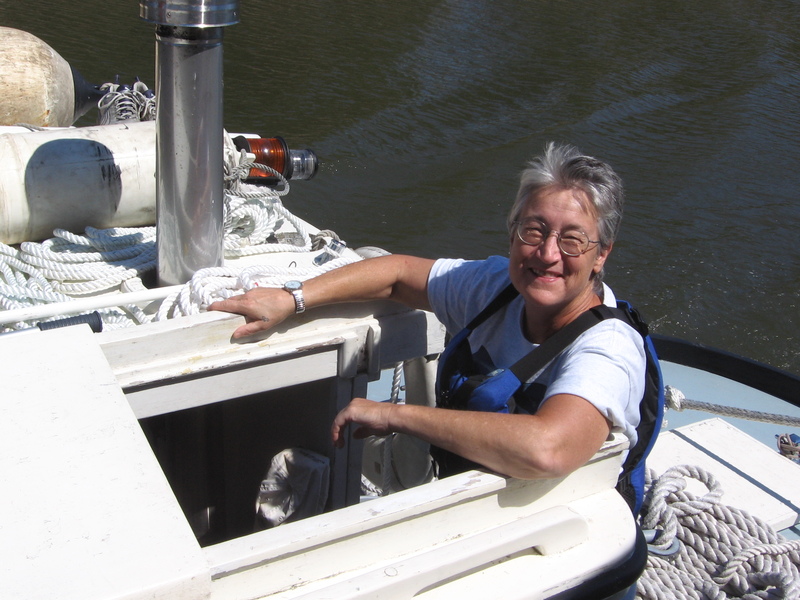 This is her first time as a volunteer aboard the Lois, and she has fulfilled a lifelong dream of helping crew on a tugboat.